Popularised by Wallace of animated TV show Wallace and Gromit, Wensleydale cheese has been made in Wensleydale since 1150 when the French Cistercian monks first settled there, bringing with them their special recipe. The art of making fine cheese was passed from the Monks to local farmers' wives who produced the cheese in their own farmhouses. 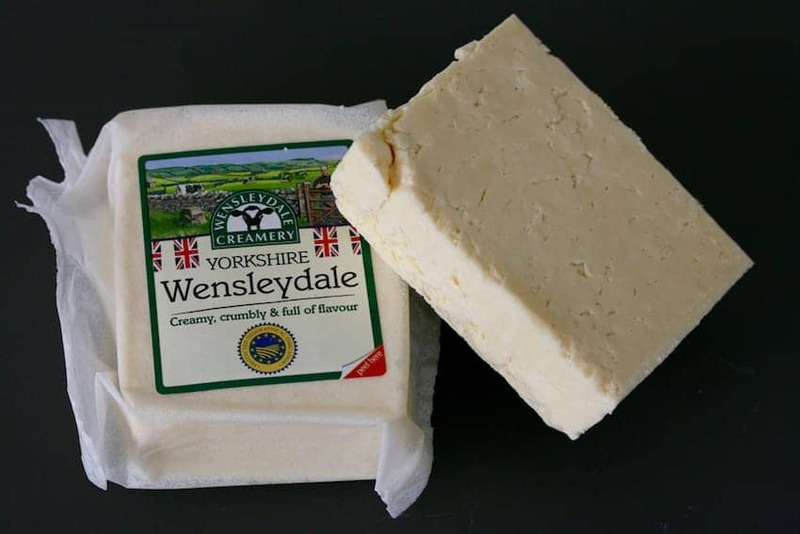 When young, Wensleydale has a milky freshness and as it matures the flavours become more complex. Wensleydale is a crumbly cheese but becomes firmer and drier as it ages. Traditional uses of Wensleydale include serving with fruit cake.